In Nebraska, the main reason why most foundations fail is water/moisture-related issues. There could be either too much or not enough, producing stress on your foundation walls. During heavy rains, water saturates the soil causing it to swell and erode underneath the foundation. As a result, the foundation may sink or crack. Water can enter cracks and flood your basement. If you have foundation or water-related issues in Nebraska, contact Jerry's Waterproofing. We offer the latest solutions to restore your foundation back to normal. Wet basements are a common occurrence for residents in Nebraska, especially if homes have cracks and settling foundations. 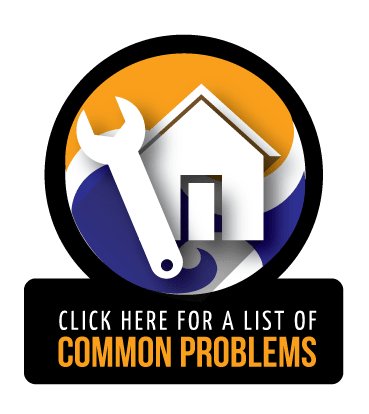 Left unchecked, basement humidity and moisture can ruin floors and promote mold growth. Persistent condensation can eventually lead to overall structural damage. If you still have water in your basement, contact our professionals so we can inspect your property for signs of water damage. We use sump pumps, exterior drainage systems, and interior drainage systems to prevent water issues. If you suspect foundation failure in your Nebraska home, inspect your home for misaligned windows/doors, buckling floors, foundation gaps, and wall cracks. We offer foundation repair solutions such as helical piers, steel pier, and plate anchors. These products are designed to support, level, and stabilize your foundation back to its original position. 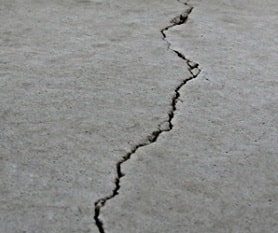 We also offer crack repair solutions to seal cracks in floors and walls before they become large. 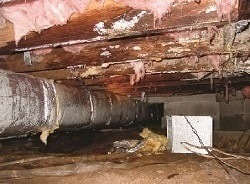 Wet crawl spaces not only destroy foundations, they promote mold growth and damage the wood floor joists. High levels of moisture create poor air quality throughout your home, causing respiratory problems for you and your family. To control high moisture levels, we use products such as vapor barriers, sump pumps, interior and exterior drainage systems to divert water away from your home in Nebraska. 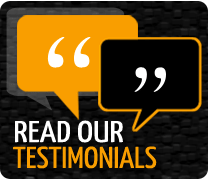 Contact Jerry's Waterproofing to learn more about our services in Nebraska.